Well, here it is. What do you all think? The bike has 22k on the clock. 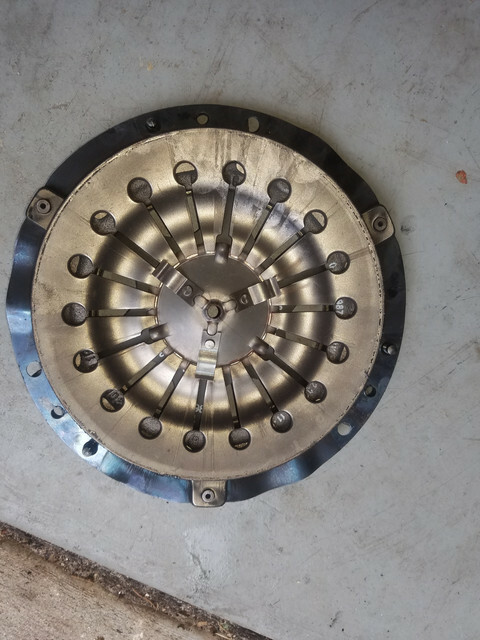 The thickness on the clutch plate measured in at a consistent 5.6mm around it. I didn't experience any slipping on the ride home, but there was oil all over the bottom of the engine. When I separated the trans from the case, about two table spoons of motor oil came out, with a small puddle remaining in the housing. 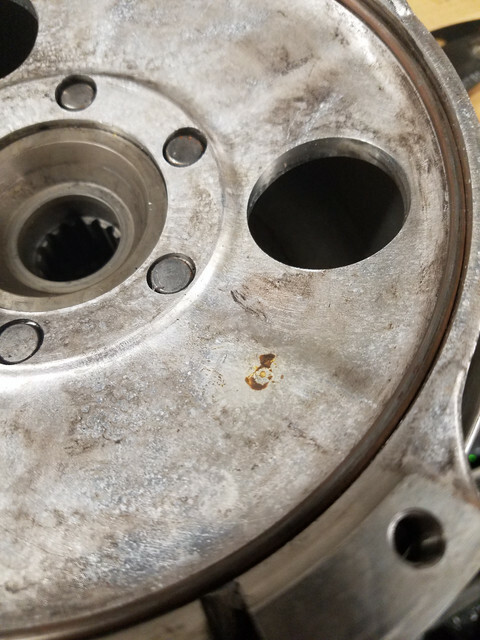 The rear main didn't appear to be leaking, but the o-ring was definitely suspect. Not pliable but intact, with oil behind it. Also noticed very small amount of gear oil coming out of the input seal (Clutch side) on the trans. 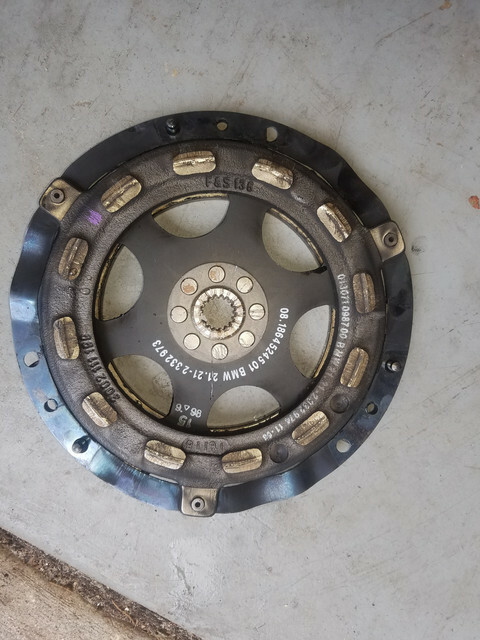 At this point, I intend to order a viton ring, a new rear main seal and a trans input seal. 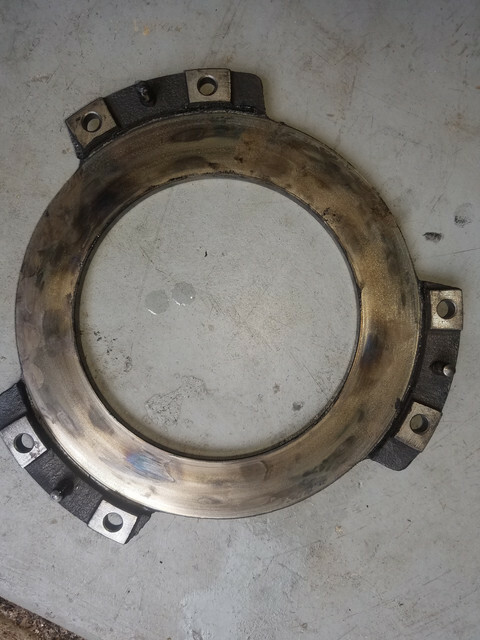 I think Ill try soaking the clutch plate in acetone for a day and reusing it. The disks show a quarter sized spot of blue on three areas. Does this seem normal? 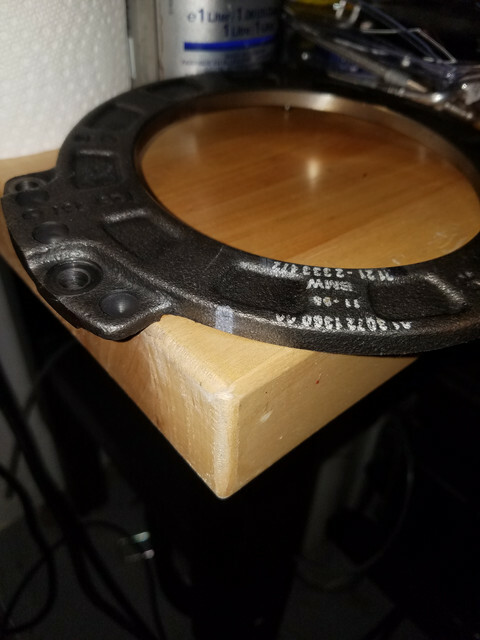 Are these the paint marks Im looking for to balance the clutch? I think I figured out the balance by looking at some identifing marks in the pics I took. Got a coolant flush done. Waiting on the new seal to show up tomorrow. Was looking at my slave, and believe it needs a bit of grease, as it appears really dry. Any tips on packing the bearing on the face without disassembling it? 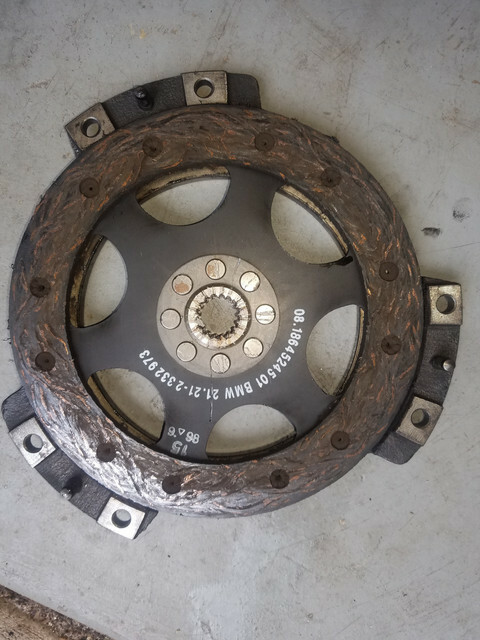 My thoughts on reuse of the clutch: You didn't notice any slippage, but there was a fair bit of oil in the bellhousing and that tracking suggests it's a steady leak. 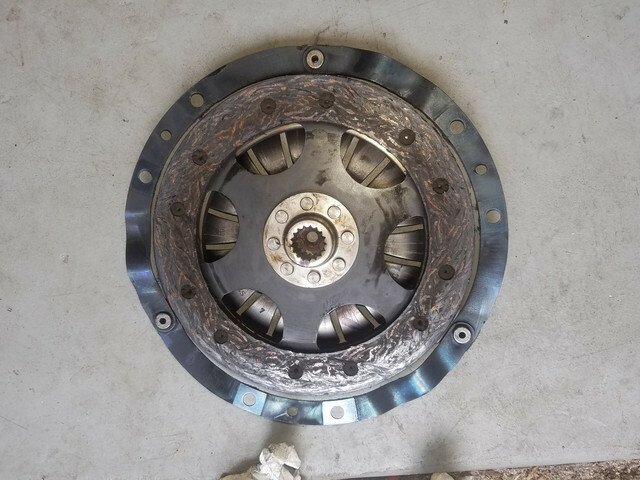 You can save money by cleaning up and reusing your old clutch disc, but if it's not clean enough, you'll be redoing the teardown. 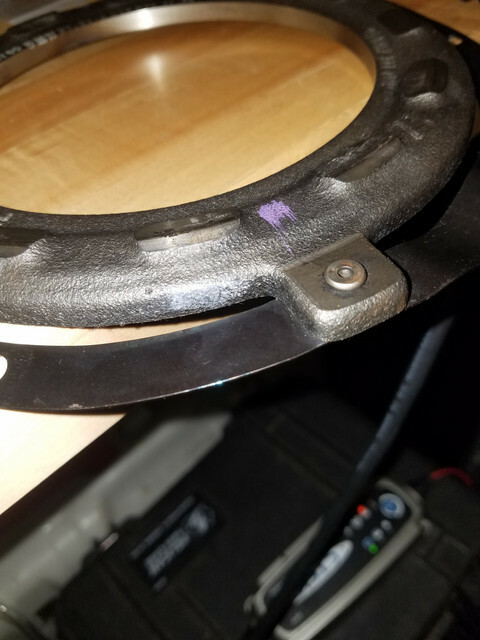 Is the money saved on the disc worth the risk of having to redo the job?